We offer fixed price car servicing in Milton Keynes completed on site by local mechanics with years of experience. We’re one of Milton Keynes’ leading car servicing centres. We have an experienced team of local technicians ready to provide your vehicle with either a Basic, Interim or Full annual service. Do I Have to Use a Dealer Garage? As a local car servicing centre in Milton Keynes we have many service packages that you can pick from, with all of them coming with their own benefits. Each car service will go through a vigorous check to ensure that every inch is evaluated. Our team of mechanics will then make any suggestions based on their findings to ensure that your car runs perfectly. All of the car servicing in Milton Keynes that our team completes is done so on site, using our own equipment. All of our testing and servicing prices are very competitive, we believe that we sit amongst some of the very best available in Milton Keynes in terms of value for money. If you would like more information on our servicing packages – simply contact us here. Basic Car Service – Our basic car service in Milton Keynes is perfect for vehicles that are almost brand new and require little work. This servicing package includes a full oil change, oil filter replacement and a comprehensive 8-point check of your vehicle. Interim Service – Our interim vehicle service is always a good option if you prefer to have your car checked every 6-months. We usually find that this is the case with older vehicles. The interim service includes a oil change, oil filter replacement and a 28-point check of the vehicle. A full filter check. Including Oil, Air, Fuel and Spark Plugs. Oil changes and full vehicle fluid replenishment. A vigorous 50-point check to ensure everything is running smoothly. "I didn’t want to pay the ridiculous prices that the local Audi dealership charged so turned my efforts into finding a local independent servicing centre. The car was in and out within a day and it drives as good as it did when I left the dealership the day I brought it." Can Unit18 Service My Car? 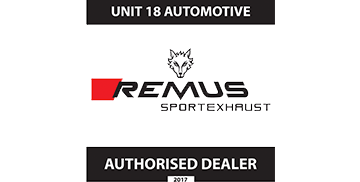 Unit18 Automotive Servicing Centre in Milton Keynes can perform annual car servicing for virtually any UK car to meet manufacturer specifications. Although we originally started out as German and Japanese vehicle specialists (servicing car brands including Volkswagen, Audi, SEAT, SKODA etc) we are able to offer car servicing in Milton Keynes to virtually any vehicle; from the humble Vauxhall Corsa right the way to the Aston Martin DB9! What Kind of Services Do Unit18 Offer? We can offer a Basic, Interim or Full car service. To improve the quality of the car service in Milton Keynes, we have invested in state-of-the-art diagnostic computers, which can collaborate with virtually all of the latest vehicle Engine Control Units (ECU’s). We are also able to offer ECU re-mapping services should you want to increase your car’s performance. We are also able to offer annual maintenance, service and repairs to DSG clutches and gearbox systems. Also as a part of any cambelt replacement, we will change the vehicle’s oil and coolant – that means that your motor will run at its peak efficiency, saving you money on running costs and giving you better performance. Will Your Service Breach My Warranty? If your car is still within its warranty period, we can carry out its annual service in-line with the manufacturers recommendations using genuine parts. Most new car warranties stipulate that the car must be serviced regularly, but you don’t have to do this at a main dealer and pay main dealer prices. All of our car service quotes are free of charge, simply give us a call or make an enquiry online. Can You Source Manufacturer Parts? We use original equipment parts whenever possible. This ensures the quality of our car service. However, if we are unable to source original manufacturer parts (typically on older vehicles), we use only top-quality alternatives that either match or exceed the OE parts.